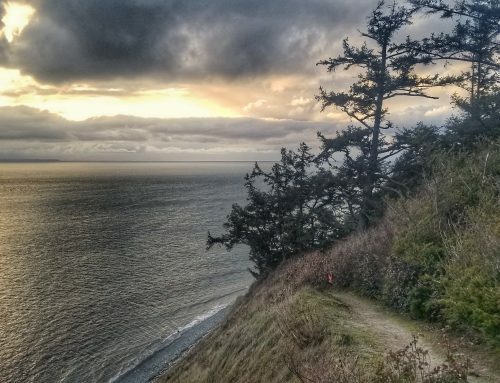 There is a reason why Deception Pass is Washington’s most visited state park. 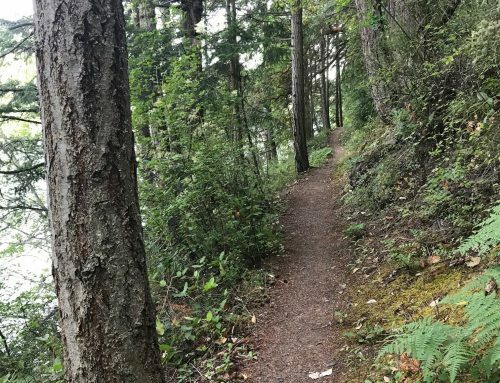 Where else do trails connect two islands and provide views of mountains, lakes, and oceans? The trails are mostly single-track through thick forests of cedar and fir trees. The trails feature lots of rocks, roots, and twists. 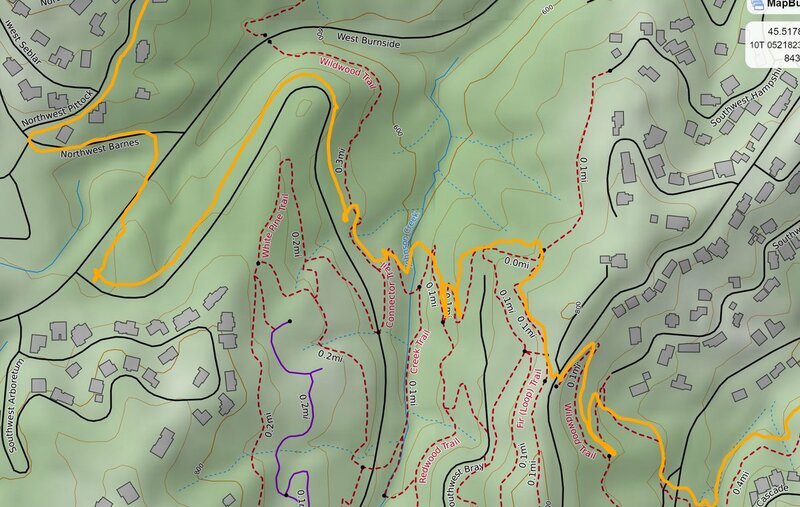 There are no long grinding climbs, but this sum of the hills will challenge even the elite trail runners. Scrambling over limbs and down trees are to be expected when exploring the park. Don’t forget to bring a Discover Pass for parking. Campgrounds are available in the park. 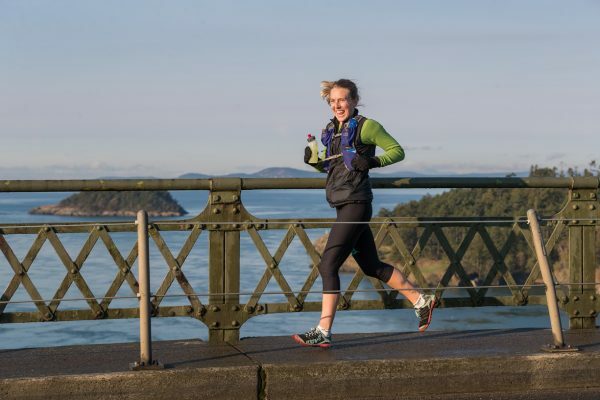 Rainshadow Running’s 25k course is a great way to visit the 38 miles trails in Deception Pass Park. 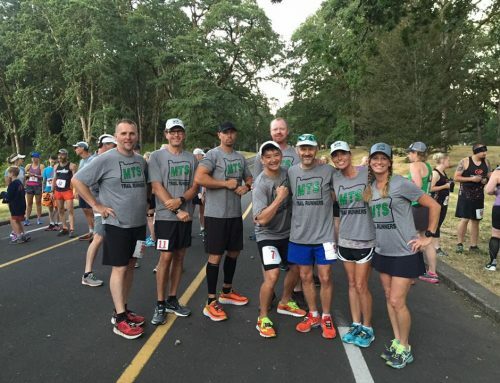 Start and finish at the West Point Amphitheater. 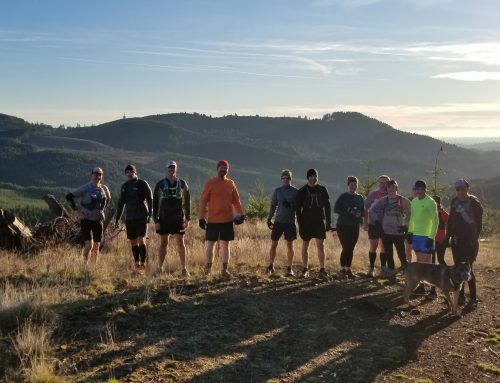 Highlights of the course include Goose Rock Summit, the cliffs of Rosario Head, madrones of Lottie Point, Pass Lake and of course the Deception Pass bridge. 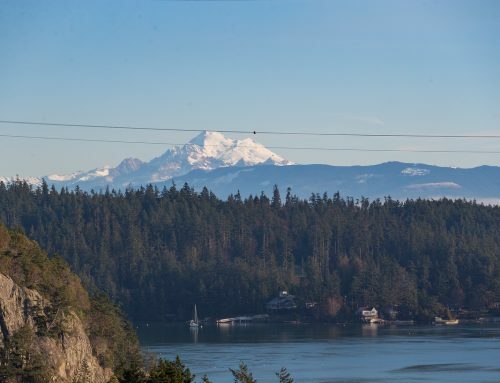 Goose Rock, at 484 feet is the highest point on Whidbey Island, has views of the Olympic and Cascade peaks, San Juan Islands, and Cranberry Lake at the top. Near Rosario Head is a large pole carving of Kwuh-kwal-uhl-wut, the Maiden of Deception Pass.